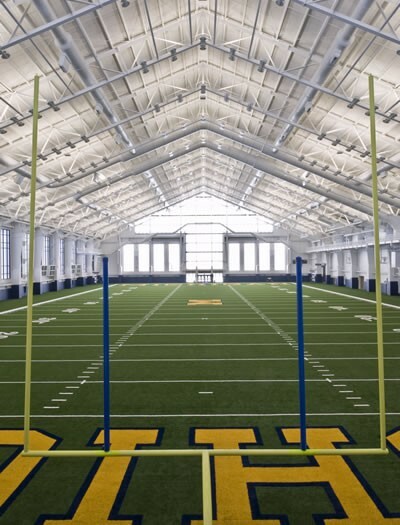 The University of Michigan Football Team has a new practice home. 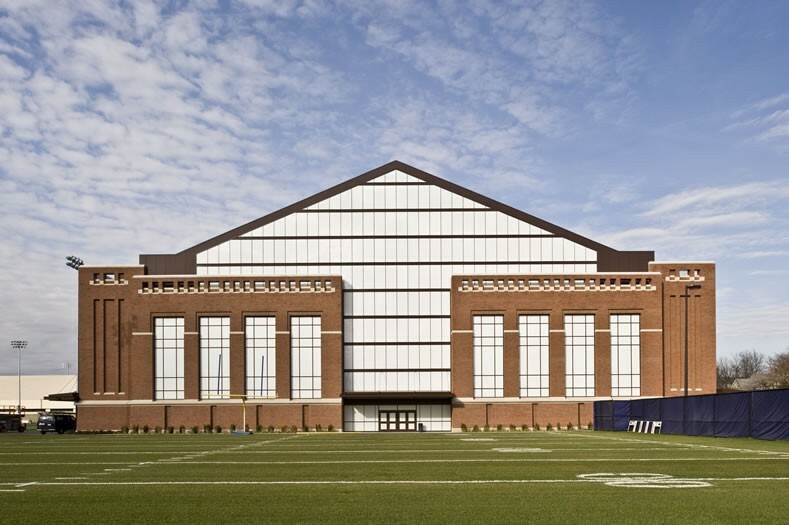 This 104,000 SF structure encloses a full size football field with generous side and end line space around the field. The turf field, identical to the stadium’s playing surface, provides greater run-off space and more height to simulate game conditions. Generous use of translucent glazing reduces dependence on artificial light sources, reducing electrical consumption, and creating a comfortable and required private atmosphere. 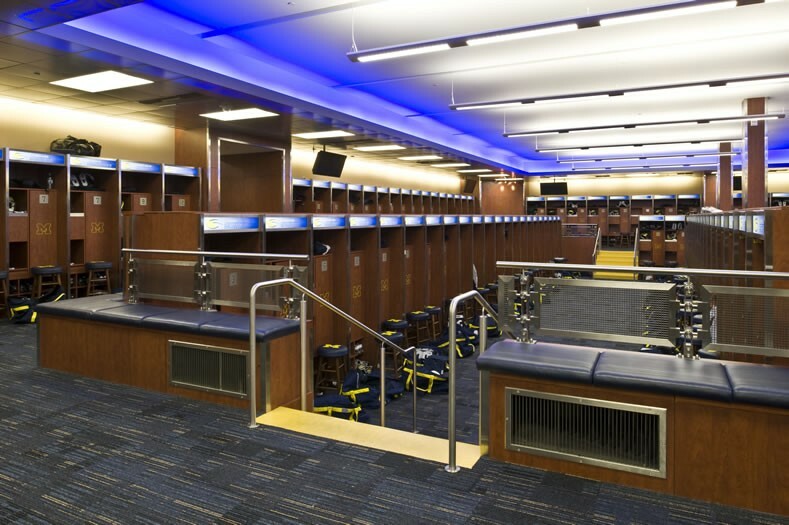 The team lockers are housed in one large, open space. 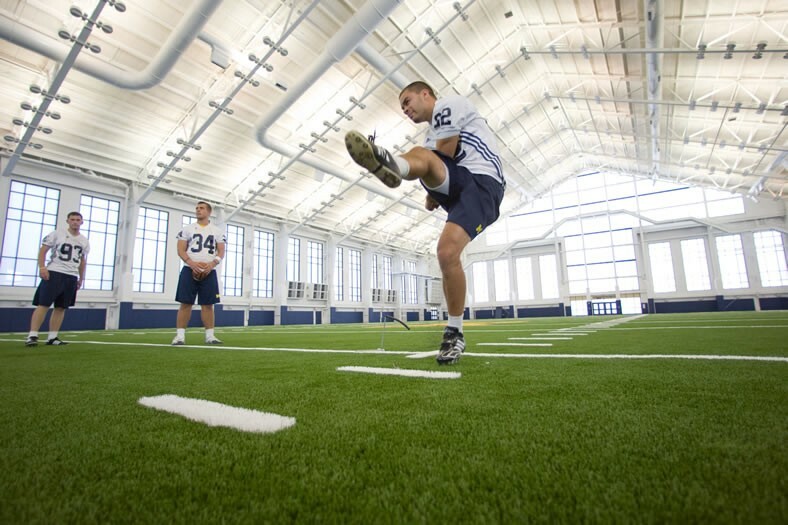 The visual connection allowed by a tiered floor is part of the team building experience inherent in all program agendas. The new facility is detailed to extend and celebrate the timeless architectural style of neighboring athletic campus facilities, including the historic Yost Ice Arena.